We save your data just for sending you emails. We do not share your data with other companies. You can unsubscribe anytime. Therefore click on unsubscribe link in email oder contact us. Thanks for this great resource you offer! 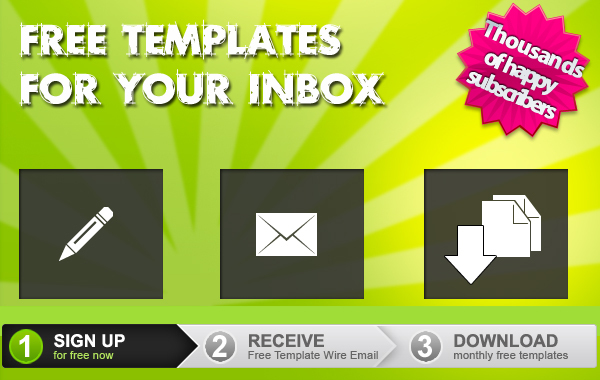 I am always excited about your next Free Template Wire Email and your great Templates. They help me so much for my daily work and I am saving time and work with every Stuff you send me!